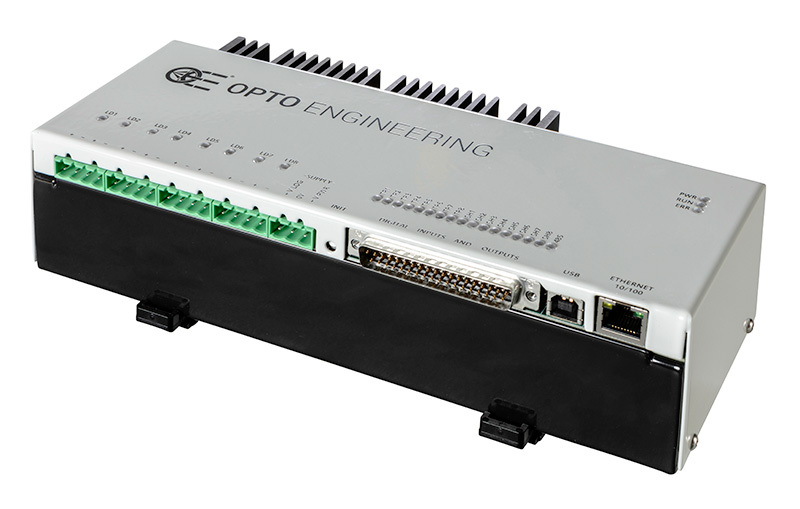 Opto Engineering® range of strobe controllers offer repeatable fast pulsing for quick and accurate strobing of a wide variety of LED lightings available today. 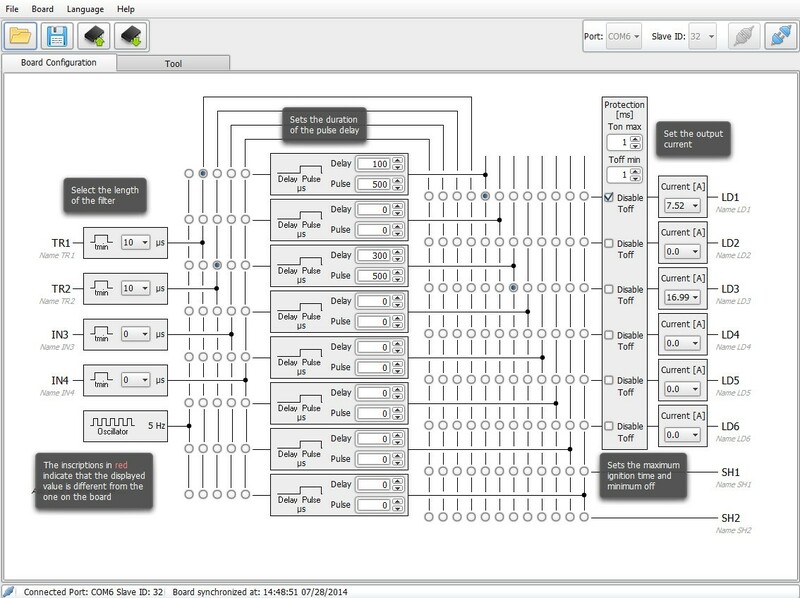 LTDV series comprises models with up to eight channels either with Ethernet and/or R485 interfaces and a single channel controller with analogue interface. 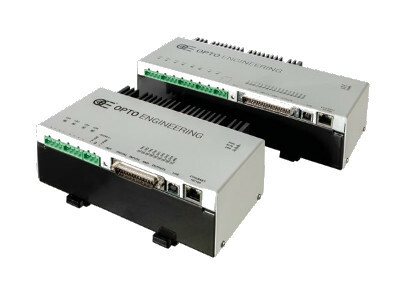 Opto Engineering® strobe controllers include LTDVE8CH-20 and LTDVE4CH-20 with Ethernet and RS485 interfaces featuring respectively eight and four output channels driving lights with currents up to 20A (pulsed) and 2A (continuous), LTDV6CH featuring six channels and RS485 interface to drive lights up to 17A (pulsed) and LTDV1CH featuring one single channel, simple DIP switch interface and designed to drive lights with currents from 5mA up to 17A. LTDV controllers accurately set current intensity, pulse duration and delay of LED illuminators, offer filtering options for trigger signals and easily synchronize the strobe pulses with the camera exposure to meet today’s machine vision high speed demands. 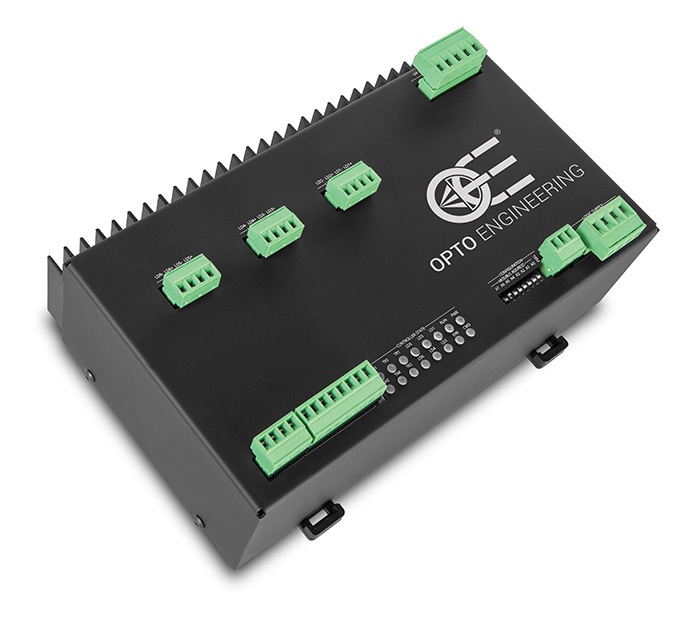 These controllers are designed to get the very best out of Opto Engineering® LED lighting solutions, in terms of both brightness stability and precise control. Compatible with most of the LED lighting solutions available. 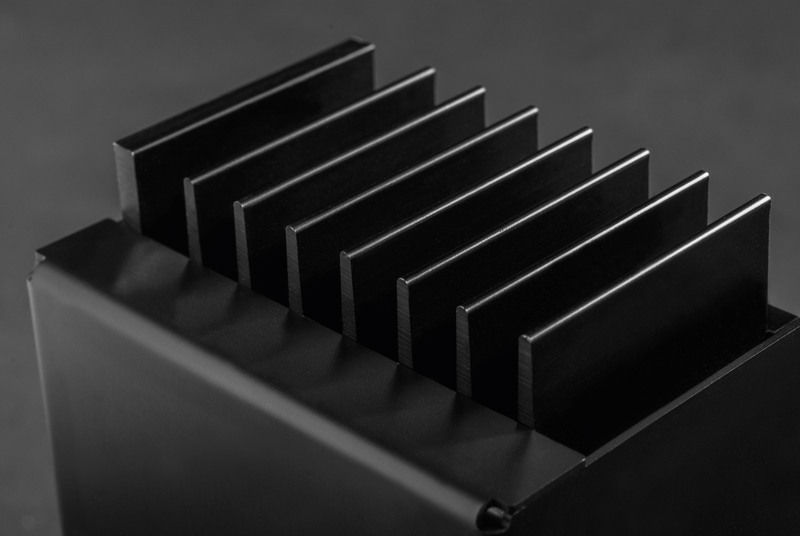 Up to 8 independently controlled output channels. Max output current up 20A pulsed. Small, compact unit with DIN rail mounting. 8 and 4 channels ethernet strobe controllers with max pulsed current of 20A. Easily configure and manage strobe, trigger and camera signals. 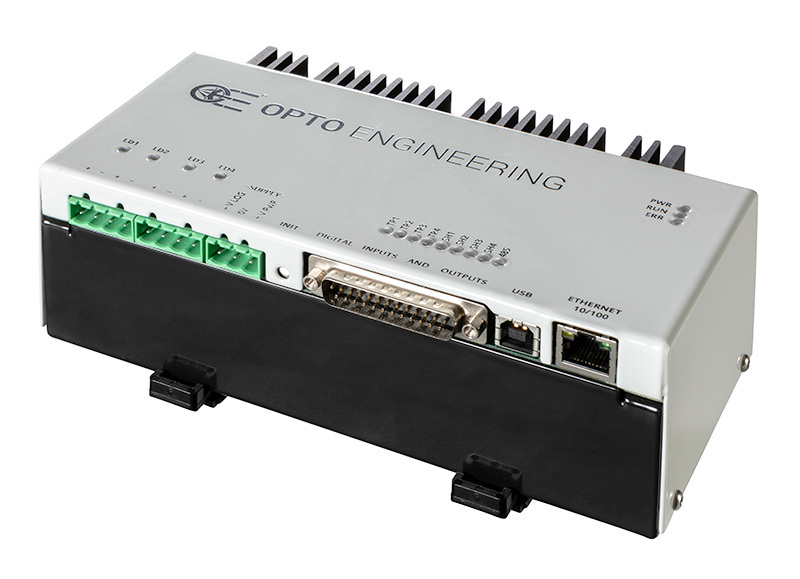 Opto Engineering® LTDVE series of controllers can be configured via Ethernet or RS485. With the Ethernet interface, you can configure the controller with either the Modbus/TCP slave protocol or the internal web browser. The second option allows for a very easy configuration of the controller using a common web browser to visually change the parameters and/or inspect the device status. The LTDVE series can also be configured via the RS485 communication port interface that implements the Modbus/RTU slave protocol. 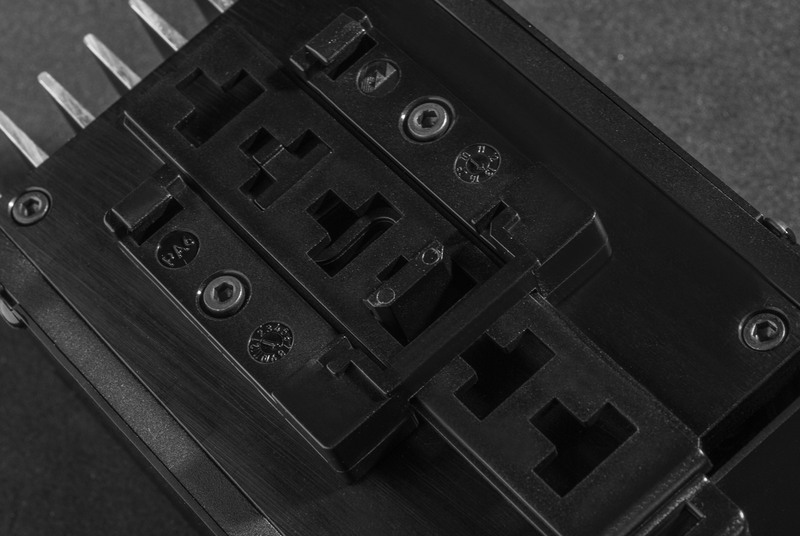 The configuration is stored in a non-volatile memory to maintain your settings even when the Ethernet or RS485 connection is removed. LTDV1CH is simply configured from the front panel via DIP switches. You can easily set the intensity of the LED lights driving current (from 5mA to 17A), filtering option for the trigger signal (select between 10 μs or 100 μs time constant) and delay for synchronization output (select between 0 or 100 μs). 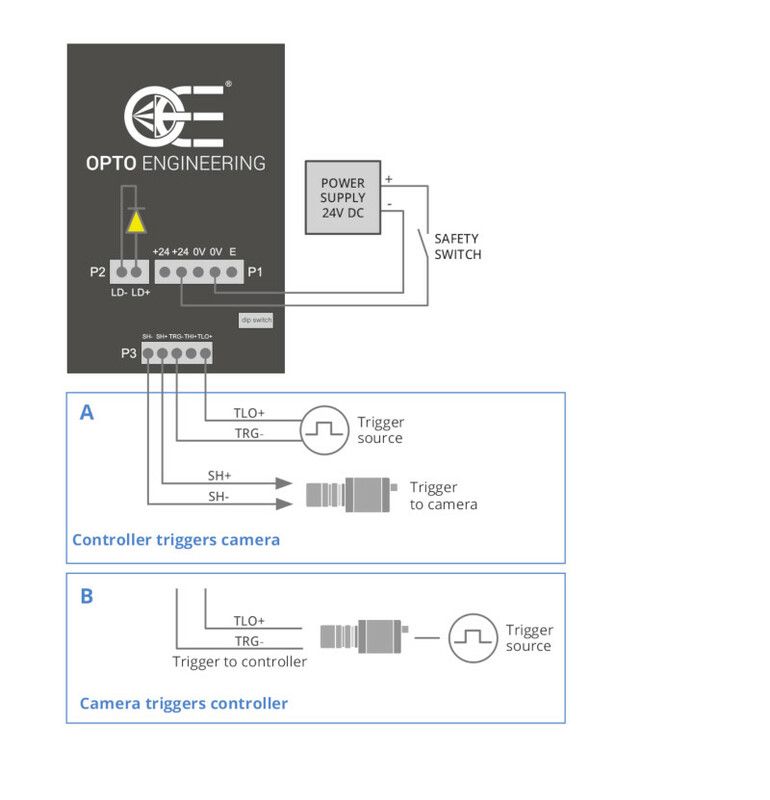 Two typical camera triggering arrangement (Option A and B) are illustrated for each controller model. Triggering Option A) is preferred because the controller directly filters the trigger signals getting rid of unwanted noise. 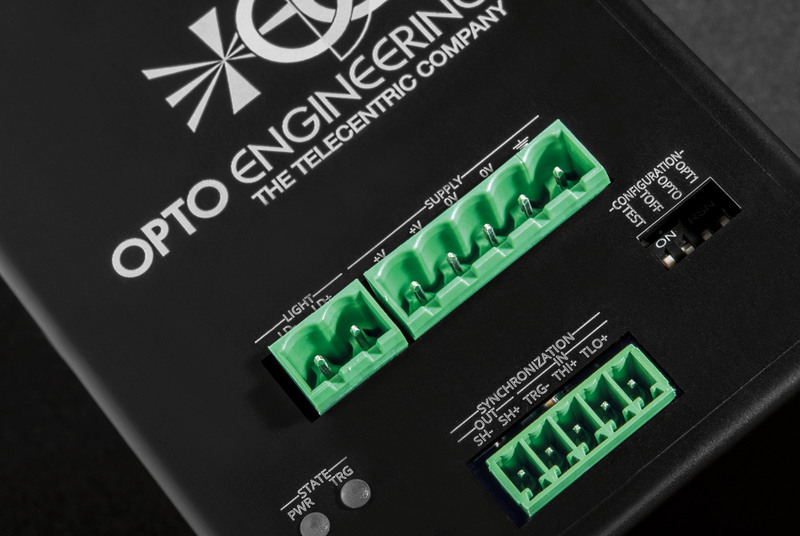 This configuration is possible because Opto Engineering® controllers feature dedicated synchronization outputs which are not commonly available from other manufacturers. 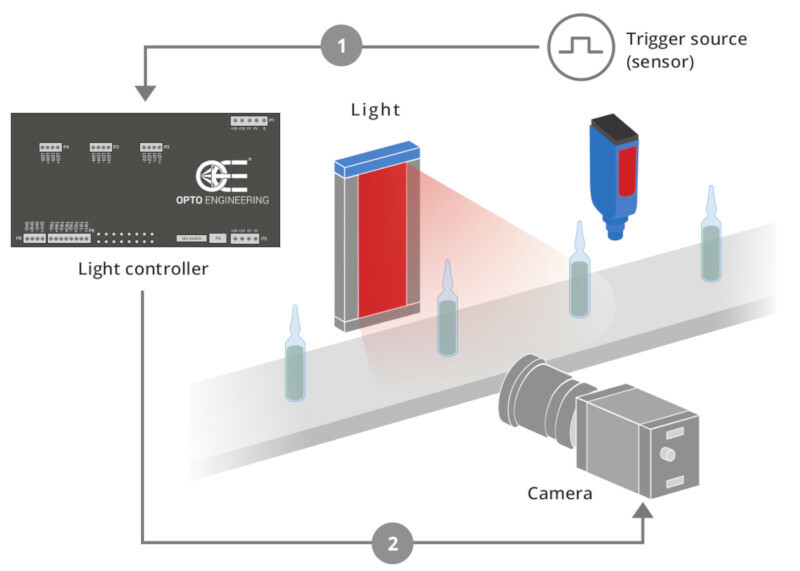 Option A - shows a triggering arrangement where the light controller is triggered by trigger source(s) (sensor positioned on the manufacturing line) and the lighting controller then triggers the camera(s). This arrangement has the advantage that the controller can filter the trigger signals before passing the command to the camera and the light. Option B - shows an arrangement where each camera is triggered by a trigger source (sensor), the camera then triggers the light controller and starts its exposure. 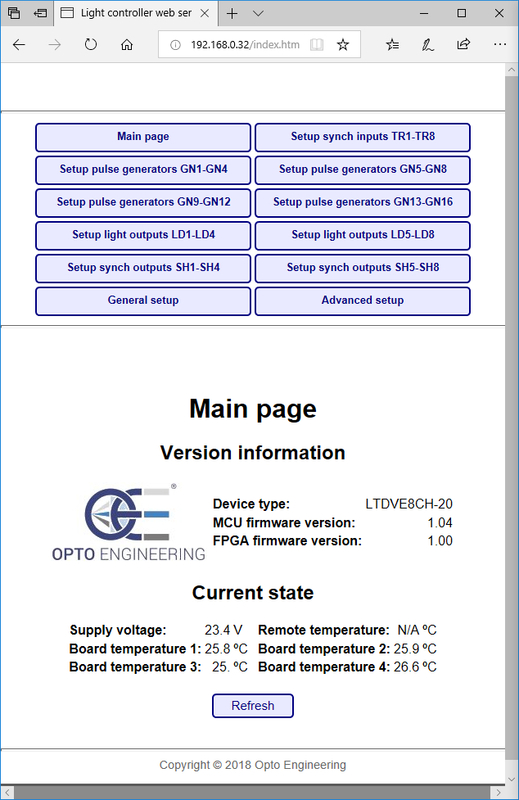 The following diagrams explain how to connect Opto Engineering® strobe controllers with the other machine vision components: LED lights, cameras, power supply and PC (for the configuration of all the parameters).